A free game update is available to download. Super Smash Bros. Ultimate was released on Switch last December. The latest entry in the mega-popular brawling game franchise features every character from every previously released Smash game, as well as lots of new additions. While Ultimate definitely isn’t lacking in terms of content, a new game update adds even more fun to the experience. 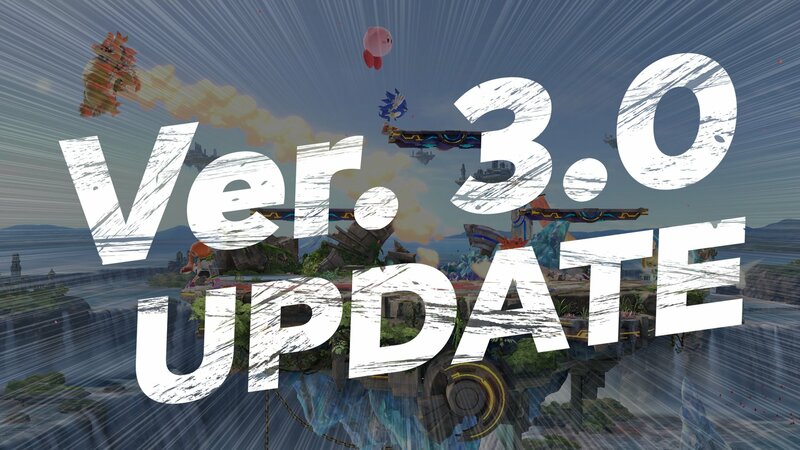 Available to download on April 17, the free Version 3.0 update adds a Stage Builder to Ultimate, which allows players to create their own battle stages. Players can create stages that include moving platforms, traps, and more. If they play with the Switch in handheld mode (rather than in docked mode), players can draw shapes on the screen and see them turn into platforms in their stage. When players are finished creating a stage, they can share it to allow other players to download their creation and try it themselves. This update also includes a new video editor, which allows players to combine any Super Smash Bros. Ultimate videos they have saved to their Switch into short movies. Players can add subtitles and sound effects to their videos to make them stand out, and then share them for other players to view. If players find a user whose content they enjoy, they can follow them in the game. In addition to viewing videos and user-created stages in the game itself, players can view recommended stages and videos in the new Smash World area of the Nintendo Switch Online app. Players can add stages they want to try to their queue, so they’ll be downloaded the next time they open Ultimate on the Switch. The Nintendo Switch Online app is available to download for free on iOS and Android devices. The app can be used to access content for multiple Nintendo games (like Splatoon 2), and it can also be used to access voice chat while playing with others online. On top of this free update, Challenger Pack 1 also launches on April 17. This downloadable content (DLC) pack adds a new fighter to Ultimate: Joker from Persona 5 (an M-rated game). The pack also includes a new stage called “Mementos” and music from the Persona series. The pack is available to purchase for $5.99 on its own, or players can purchase the Fighters Pass for $24.99, which will give them all of the game’s Challenger Packs as they’re released going forward (including Challenger Pack 1). Finally, players can purchase new costumes for the Mii Fighters characters for $0.75 each. These costumes are based on games in the Persona and Sonic the Hedgehog series. These costumes aren’t included in the Fighters Pass.